Alvin Lustig believed in the power of design when applied to all aspects of life. Each New Classics book jacket Lustig created had its own unique character. Lustig immersed himself in all aspects of design, including architecture. 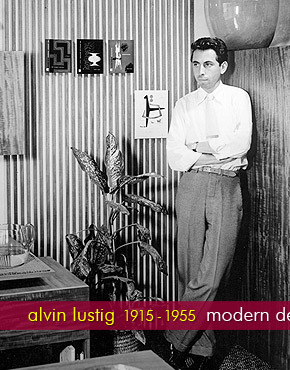 Early in his career, Lustig created geometric designs using type ornaments.